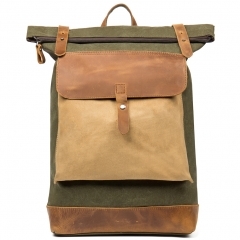 [HIGH QUALITY MATERIAL] We use the great leather for this backpack, cowhide is made of full grain leather. 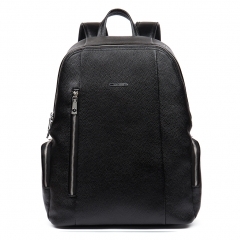 Come with light gold custom antioxygenic hardware and durable fabric lining. 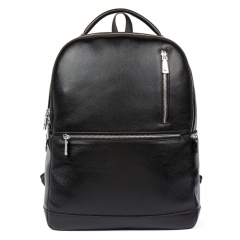 These make the leather backpack more luxury. 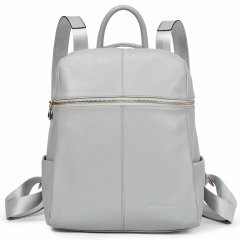 Simple leather backpacks, cute and feminine type of Medium size backpack. 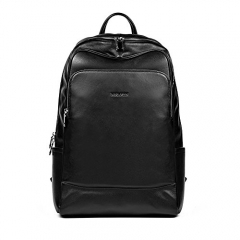 [INTERNAL STRUCTURE] This leather backpack contains 1 big inner compartment, 2 cell phone pockets, 1 inner zipper pocket. 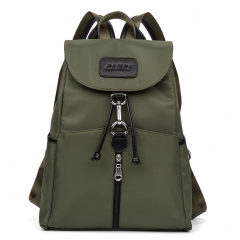 2 zipper pockets outside, on the front and the back of the backpack. This bag does not fit A4 folder. But, It's big enough for 10 inch tablet. 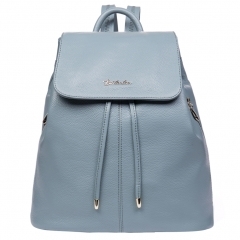 It's the fashion backpack for girls. [DELICATE & PRACTIAL] Comfortably holds 10 inch tablet, iPhone6s Plus, iPad mini, umbrella, wallet, cosmetic and other small things, perfect to use as daily bag for school, working, dating. Clear fashion texture, with simple styling, it is a good choice for girl, women or office lady. 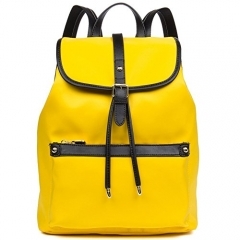 We have 4 colors, all kind of colors are beautiful and stylish, you can choose any color you like. [DIMENSION] (L)10.6 inch x (W)5.5 inch x (H)13.2 inch. [ATTENTION] BOSTANTEN is an US Registered Trademark and our ONLY Authorized dealer is BOSTANTEN. Please pay attention to avoid purchasing those COUNTERFEITS from other sellers, 100% genuine guarantee from BOSTANTEN. Unauthorized sale without permission,we will investigated for legal responsibility.